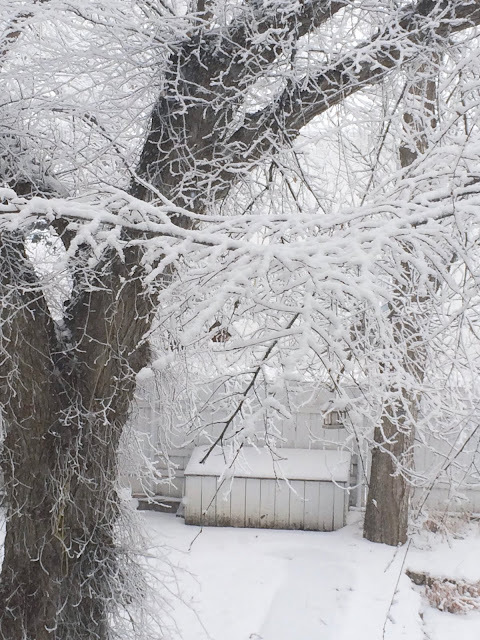 she can quilt: It's a white Christmas after all, Happy Holidays! I thought I would stop in here quickly, as I have some errands to do to finish the last things to make our family Christmas. This afternoon, after a quick trip to the mall, I will be baking pumpkin and apple pies, which is something that I love to do. 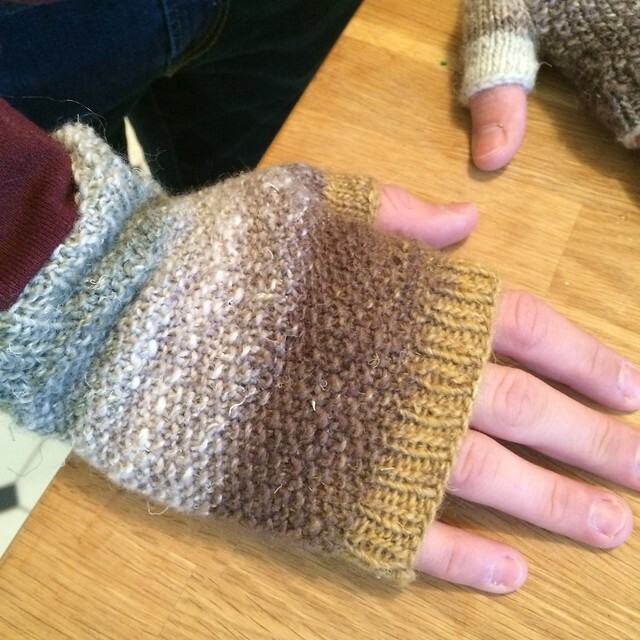 I thought I would also share some photos of the fingerless texting mitts and toque that I made for my youngest, although now adult teenage son. The point was to give those hands some protection, as this one is always connected to his community, no matter what the weather. For the hat I wanted to make a traditional Canadian style toque - with ribbing and a folded up brim. 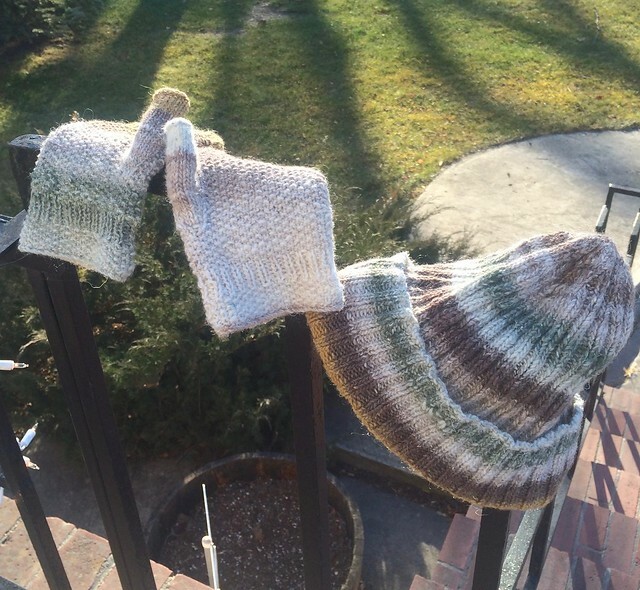 When it is really cold, one can fold that brim down. I prefer a thumb gusset so that the thumb is both warm and can be flexed about on the keypad without distorting the mitten. 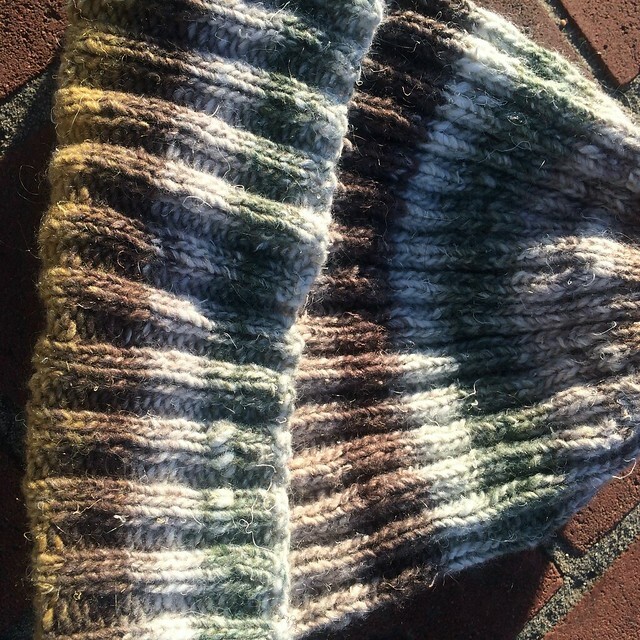 I used a seed stitch as I love the texture and it feels a bit more masculine with this Noro Silk Garden Light yarn. I took that photo on our front porch on Dec 15. It has been warm here. 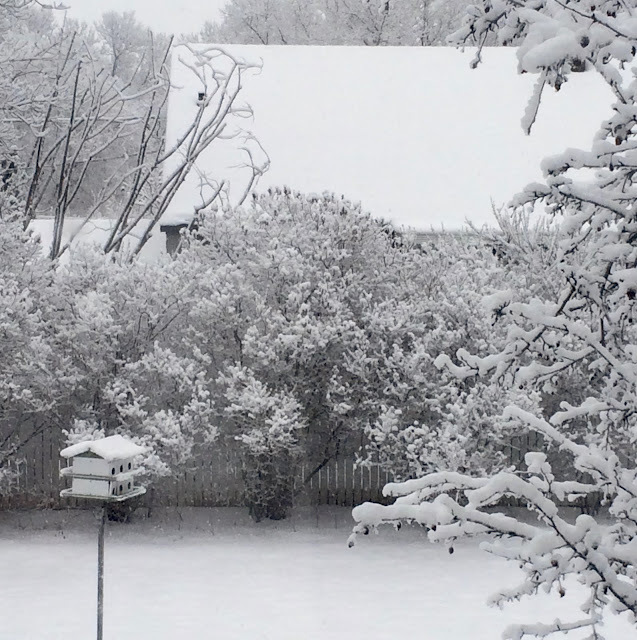 However I woke up today to frosted trees and it is still snowing. We are having a white Christmas after all. I just took these through my windows, it is a pretty snowy day. 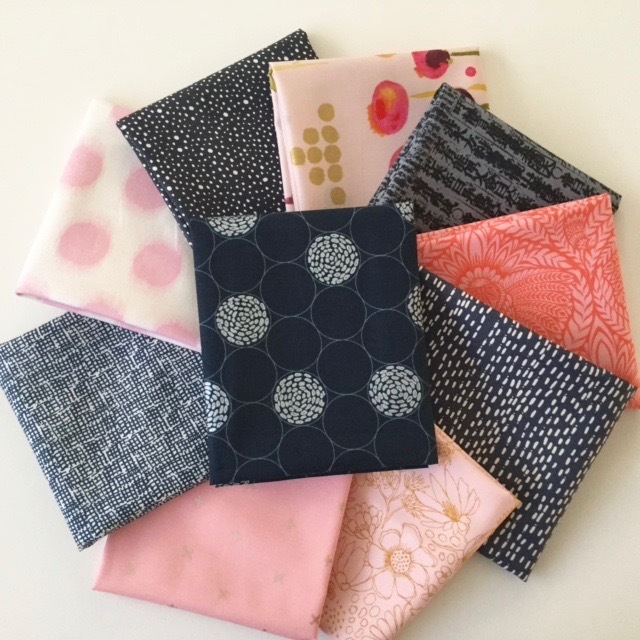 And the winner of this beautiful pink and navy bundle from Fabric Spark is Danielle. Thank you to everyone for joining in and if you wanted these fabrics and did not win, Daryl has more of them in her shop, just saying. oh those photos are gorgeous! It's practically in the 60s here in Paris, not Christmas-y at all! Envious of your white Christmas, thanks for sharing! Merry Christmas! Oh, I wish we could woke up to snowy day as well :) Merry Xmas! Merry Christmas! Congratulations to you Danielle. Have a wonderful Christmas, Leanne. 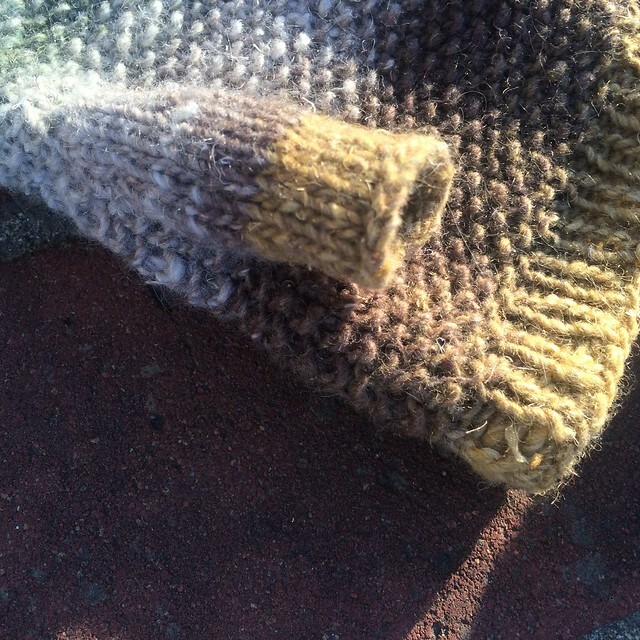 Lovely knitting!!! What a fun set to keep your son warm. I just started a hat with some Noro sick weight silk and wool yarn. It's very similar. I am so loving all the snow photos her and from everyone on IG. Someday I'll have a white Christmas...somewhere. Love the snow pictures- we are sweltering at 80 here in Houston- have the ac going- wearing shorts! Yuck! Have a merry Christmas! Merry Christmas!! We got a white one too - 5" fell on the 24th and with lows in the low teens, it's hanging around! 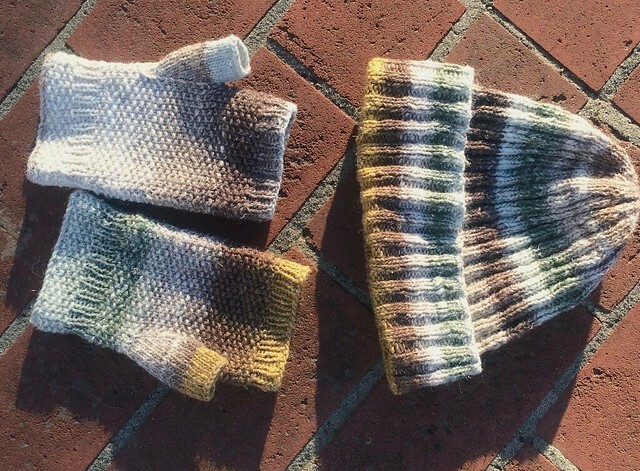 Love the mitts and hat - absolutely perfect for your son!